Preparing and serving coffee at home is both economical and convenient. Instead of heading out to a coffee shop or restaurant when the caffeine craving hits, you can make a variety of flavored drinks right in your own kitchen. Using a Black & Decker Home Café coffeemaker is as easy as adding water to the appliance, dropping in a coffee pod and turning the machine on. No messy coffee grinds to dispose of and no coffeepot to clean up afterward. The Black & Decker Home Café is very quick to assemble. The coffeemaker uses coffee pods, pre-measured cups that are configured to brew one cup of coffee. The pods are available at your local grocery or retail store. To set the coffeemaker up, you simply remove the water reservoir from the back of the unit, fill the reservoir with water, open the coffee pod holder unit and place a cup on the cup tray. There is no measuring water in a pot before pouring or having to deal with coffee filters. The biggest challenge you'll face with a Black & Decker Home Café coffeemaker is choosing a flavor. You can purchase an array of different-flavored coffee pods. Once you have decided, just drop the pod into the coffeemaker's coffee pod holder and close the lid. Press the "Brew" button and you will have fresh coffee in just a few minutes. For another cup, select the pod you want and repeat the procedure. Make sure you select the correct cup size when brewing your coffee. If your coffee cup is 7 ounces, choose the 7-ounce brew selection. Other cup-size options include 9 ounce and 14 ounce. Also, don't pull your cup from the cup tray until the brewing process is complete—doing so could cause burns and spilled coffee. The Black & Decker Home Café coffeemaker has been specifically designed to use Folgers and Millstone coffee pods only. 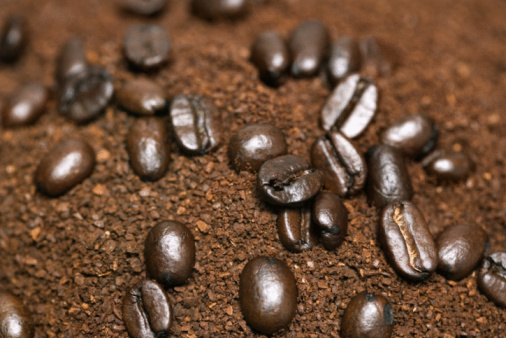 Do not use other brands of coffee pods, as they can damage your coffeemaker.